Disclosure: This post may contain affiliate links. Another week, another what I ate Wednesday. Every Wednesday I share a days worth of real life vegan meals and snacks. You can view all of the posts here. These meal plans how exactly what I eat on a busy workday. They’re here to show you how easy plant-based eating can be. Each week, I do some food prep on Sundays to make things a little easier during the week but a lot of time these meals are thrown together on the fly. I hope they inspire you to craete your own days worth of vegan meals. This weeks day of vegan eats features chia pudding, tostadas, veggie korma, lentil wraps and chocolate peanut butter cups. I love chia pudding because all I need to make it is water and whatever I’d like to add in. Last week it was peanut butter and blueberries, this week flax and strawberries. It’s perfect because I can throw it in a container before the gym and post-workout it’s ready to go! Delicious! For my morning snack, I used up some of the leftover ingredients from the tostadas last night and made a warp with grated zucchini, spinach and lentils. These were leftover from dinner last night and I was looking forward to them all morning. 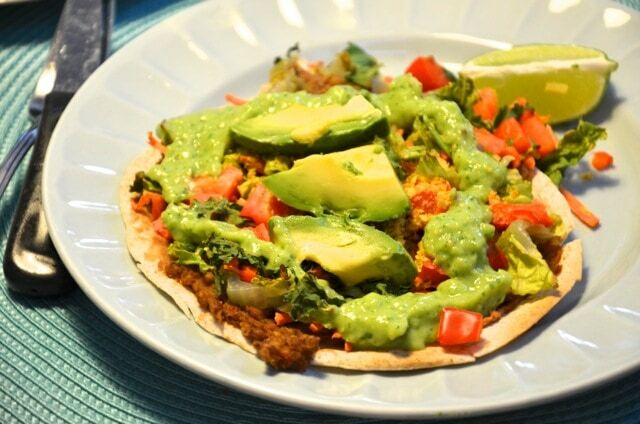 They feature tortillas, tomatillo sauce, lentils and veggies and are so filling and delicious! For today’s snack I had 1 serving of Vega protein mixed with water and a baked sweet potato sea salt, pepper and a dash of cinnamon. So simple and delicious and a great way to re-fuel after a workout. I based this dish off of this recipe for Weeknight Vegetable Korma . This wasn’t the best dinner choice for a hot summer day but it was definitely delicious! I adjusted the quantities slightly, adding a little extra spice and veggies but I more or less followed along. It had potato, chickpeas, broccoli, cauliflower, carrot, peas, onion, coconut milk and an awesome combination of Indian spices. 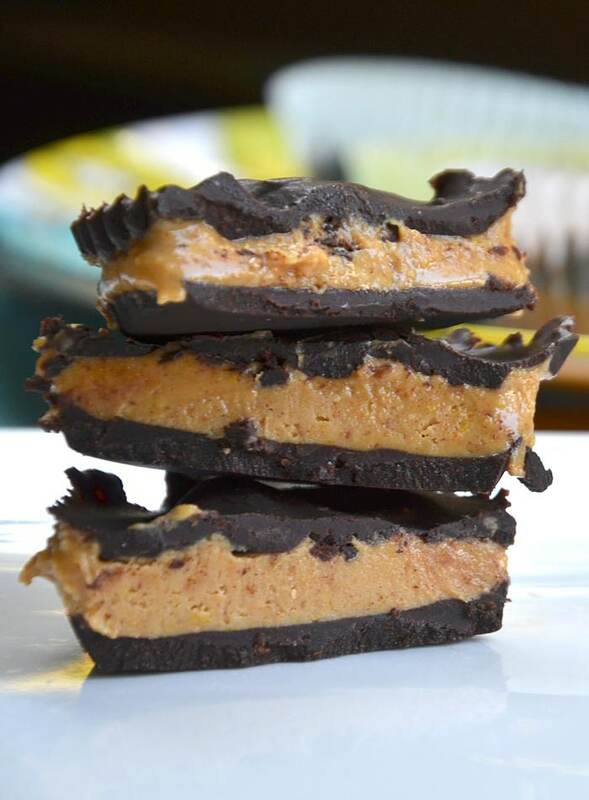 Reese Peanut Butter Cups were always my favourite chocolate bar and these vegan chocolate peanut butter cups come close enough for me. They’re so easy to make and right now I’m just trying to avoid a second (or third, or fourth) trip to the kitchen to grab another. Looks like a day of very yummy eats! That’s so funny – I just came across Delicious Knowledge blog too! I think someone posted about it on twitter. I agree – she has some great recipes and healthy living posts. I’ve been to try the Soldier of Steel workouts! They look intense but I love the variety. Welcome to Running on Real Food! Here you'll find simple, delicious and healthy, plant-based recipes and everything you need to eat, live and thrive. Chocolate and cookies included. ©2019 Running on Real Food. Design by Purr.